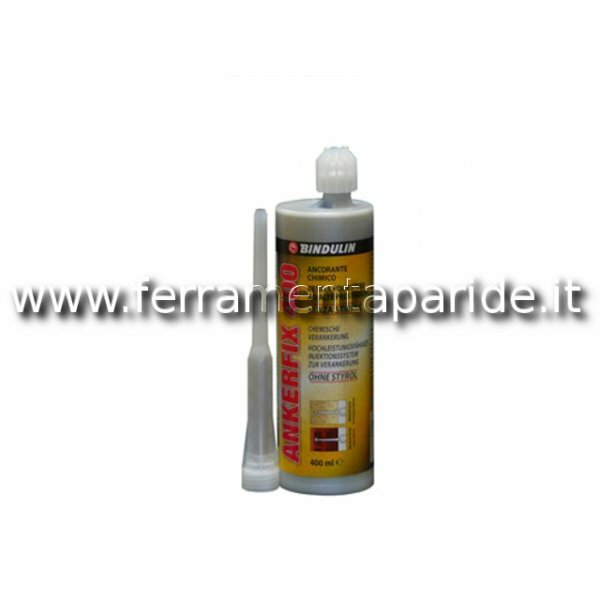 ANCORANTE CHIMICO ANKERFIX 300ML SENZA STIRENE BINDULIN. 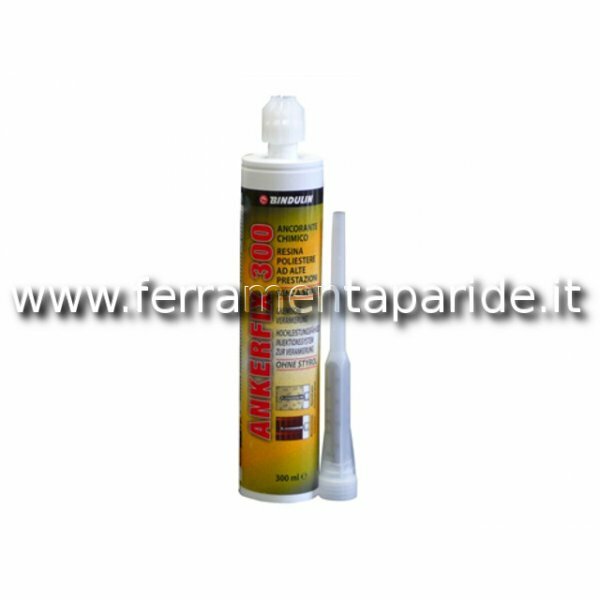 ANCORANTE CHIMICO UNIVERSALE ANKERFIX, RESINA BICOMPONENTE CHE TRAMITE UN SISTEMA AD INIEZIONE E IDEALE PER IL FISSAGGIO CH..
ANCORANTE CHIMICO ANKERFIX 400ML SENZA STIRENE BINDULIN. ANCORANTE CHIMICO UNIVERSALE ANKERFIX, RESINA BICOMPONENTE CHE TRAMITE UN SISTEMA AD INIEZIONE E IDEALE PER IL FISSAGGIO CH..
ANCORANTE CHIMICO FIP C700 HP PLUS FISCHER 93446 ANCORANTE CHIMICO CERTIFICATO PER L USO IN CALCESTRUZZO FESSURATO E NON FESSURATO E IN MURATURA. 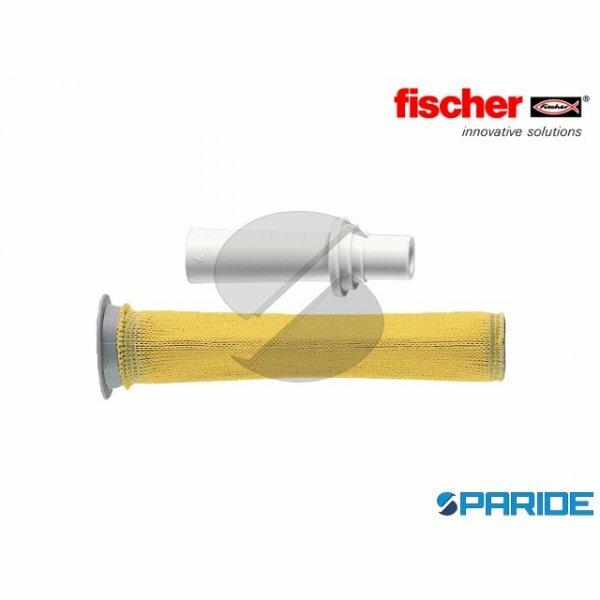 LA RESINA A INIEZIONE PUO ESSERE U..
ANCORANTE CHIMICO FIS EM 390 S EPOSSIDICO FISCHER. CON LA RESINA FIS EM 390 S SI POSSONO INSTALLARE BARRE FILETTATE DA M8 A M30 E BARRE AD ADERENZA MIGLIORATA DA DIAMETRO 8 A 40. L..
T-BOND PRO.1. ANCORANTE CHIMICO CERTIFICATO PER L USO IN CALCESTRUZZO FESSURATO E NON FESSURATO E IN MURATURA. LA RESINA A INIEZIONE PUO ESSERE UTILIZZATA IN FORI UMIDI E BAGNATI D..
BUSSOLA FILETTATA FIS E 11X85 M6 43631 FISCHER. LA MARCATURA CE SUSSISTE SE E SOLO SE ABBINATA CON RESINE FISCHER FIS V, FIS C700 HP PRO1, T-BOND PRO 1, GREEN NEI LIMITI DESCRITTI ..
BUSSOLA FILETTATA FIS E 11X85 M8 43632 FISCHER. LA MARCATURA CE SUSSISTE SE E SOLO SE ABBINATA CON RESINE FISCHER FIS V, FIS C700 HP PRO1, T-BOND PRO 1, GREEN NEI LIMITI DESCRITTI ..
BUSSOLA FILETTATA FIS E 15X85 M10 43633 FISCHER. LA MARCATURA CE SUSSISTE SE E SOLO SE ABBINATA CON RESINE FISCHER FIS V, FIS C700 HP PRO1, T-BOND PRO 1, GREEN NEI LIMITI DESCRITTI..
BUSSOLA FILETTATA FIS E 15X85 M12 43634 FISCHER. LA MARCATURA CE SUSSISTE SE E SOLO SE ABBINATA CON RESINE FISCHER FIS V, FIS C700 HP PRO1, T-BOND PRO 1, GREEN NEI LIMITI DESCRITTI..
BUSSOLA RETINATA FIS H 12/1000 FISCHER. BUSSOLA RETINATA RETE AVVOLTA IN ACCIAIO ZINCATO, IN PEZZI DA 1 METRO. INDICATO PER LUNGHEZZE PARTICOLARI O SE NECESSARIO RINFORZARE MURATUR..
BUSSOLA RETINATA FIS H 16/1000 FISCHER. BUSSOLA RETINATA RETE AVVOLTA IN ACCIAIO ZINCATO, IN PEZZI DA 1 METRO. INDICATO PER LUNGHEZZE PARTICOLARI O SE NECESSARIO RINFORZARE MURATUR..
BUSSOLA RETINATA FIS H 22/1000 FISCHER. BUSSOLA RETINATA RETE AVVOLTA IN ACCIAIO ZINCATO, IN PEZZI DA 1 METRO. INDICATO PER LUNGHEZZE PARTICOLARI O SE NECESSARIO RINFORZARE MURATUR..
BUSSOLA RETINATA FIS H 30/1000 FISCHER. BUSSOLA RETINATA RETE AVVOLTA IN ACCIAIO ZINCATO, IN PEZZI DA 1 METRO. 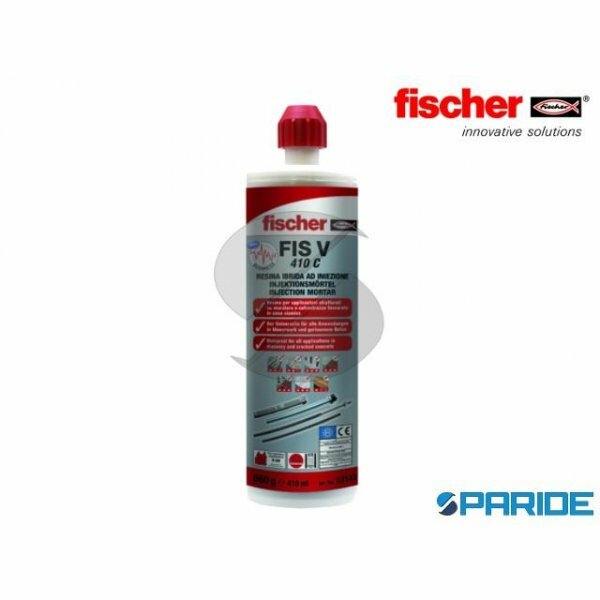 INDICATO PER LUNGHEZZE PARTICOLARI O SE NECESSARIO RINFORZARE MURATUR..
RESINA AD INIEZIONE FIS V 410 C FISCHER 660 GR. RESINA AD INIEZIONE UNIVERSALE PER TUTTE LE APPLICAZIONI IN MURATURA E CALCESTRUZZO FESSURATO. 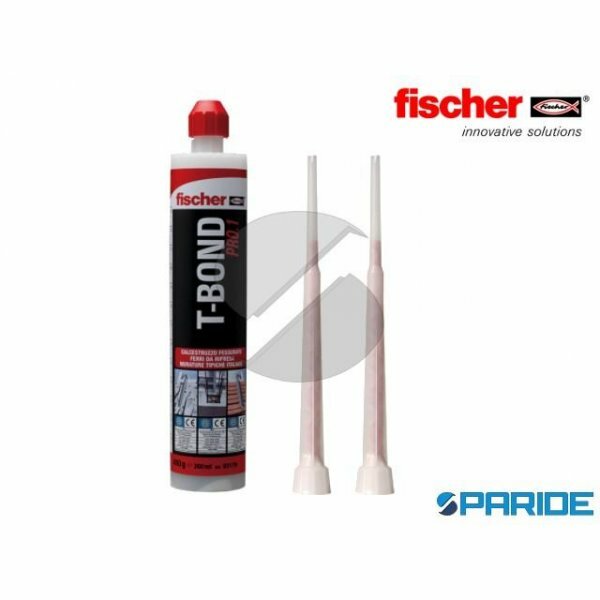 IDONEA PER: COSTRUZIONI IN ACCIAIO, C..
RESINA CHIMICA FIS V-BOND 300 T FISCHER. RESINA A INIEZIONE BICOMPONENTE IBRIDA. IN CALCESTRUZZO E MURATURA, IDONEA PER INSTALLAZIONE PASSANTE E NON PASSANTE CON BARRA FILETTATA FI..
TASSELLO A CALZA FIS 16X85N 50470 FISCHER. 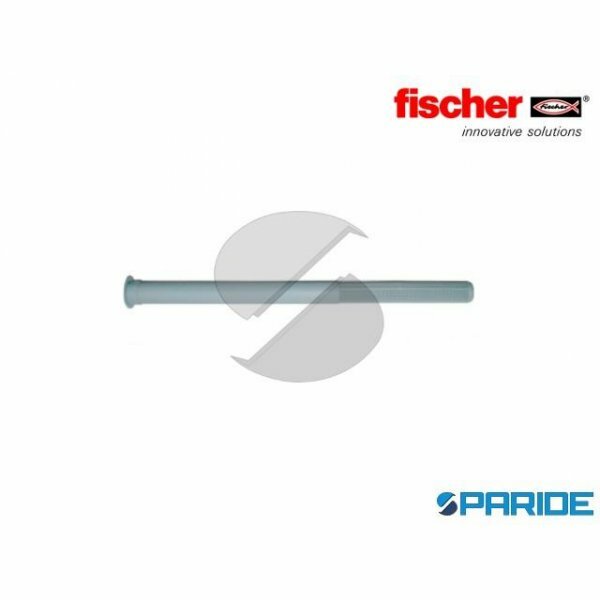 IL TASSELLO A CALZA FIS HN PER ANCORANTI CHIMICI, IDEALE PER IL FISSAGGIO DI: SCALE, PARAPETTI, PENSILINE, MOBILI PENSILI, CARDINI PER SC..
TASSELLO A CALZA FIS 18X85N 50472 FISCHER. 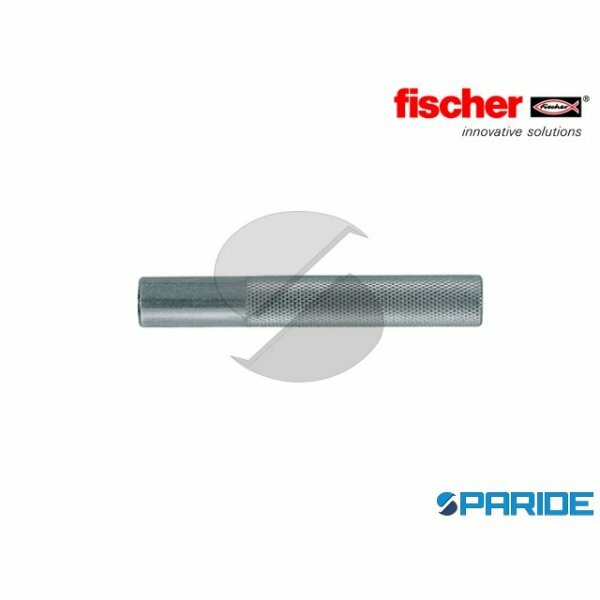 IL TASSELLO A CALZA FIS HN PER ANCORANTI CHIMICI, IDEALE PER IL FISSAGGIO DI: SCALE, PARAPETTI, PENSILINE, MOBILI PENSILI, CARDINI PER SC..
TASSELLO A CALZA FIS H 20X85N 50470 FISCHER. 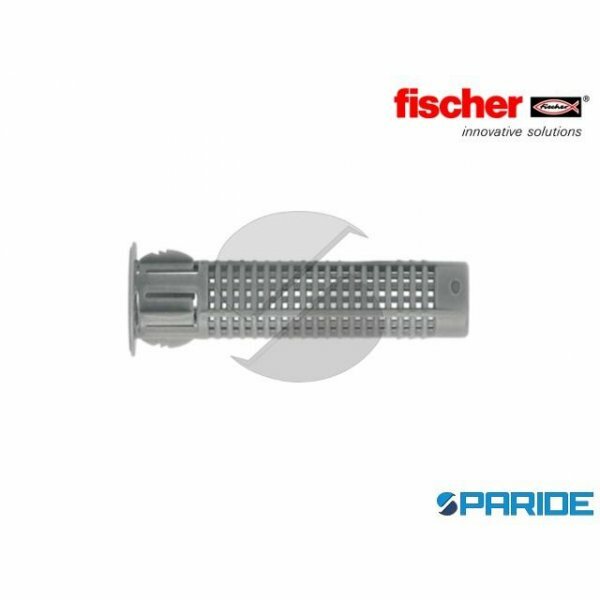 IL TASSELLO A CALZA FIS HN PER ANCORANTI CHIMICI, IDEALE PER IL FISSAGGIO DI: SCALE, PARAPETTI, PENSILINE, MOBILI PENSILI, CARDINI PER ..
TASSELLO A RETE FIS H 16X130 K 41905 FISCHER. 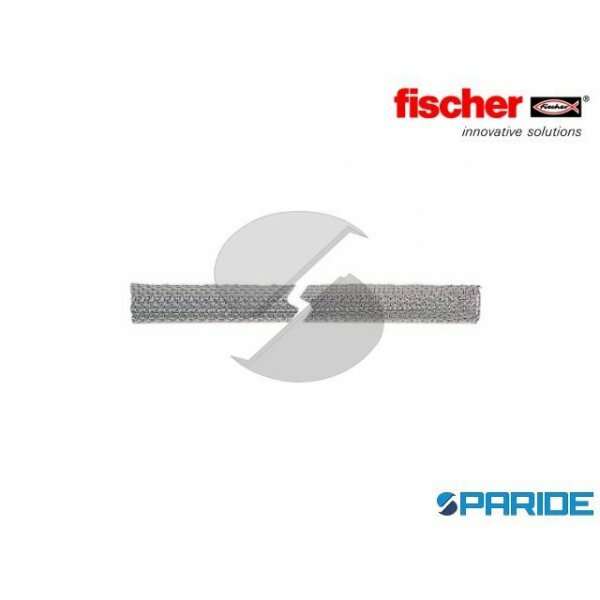 APPLICAZIONI: SERRAMENTISTICA; FALEGNAMERIA; IMPIANTISTICA LEGGERASUPPORTI; MATTONE FORATO, DOPPIO UNI,BLOCCO CAVO GENERALITA; TASSELL..
TASSELLO A RETE FIS H 16X85 K 41902 FISCHER. 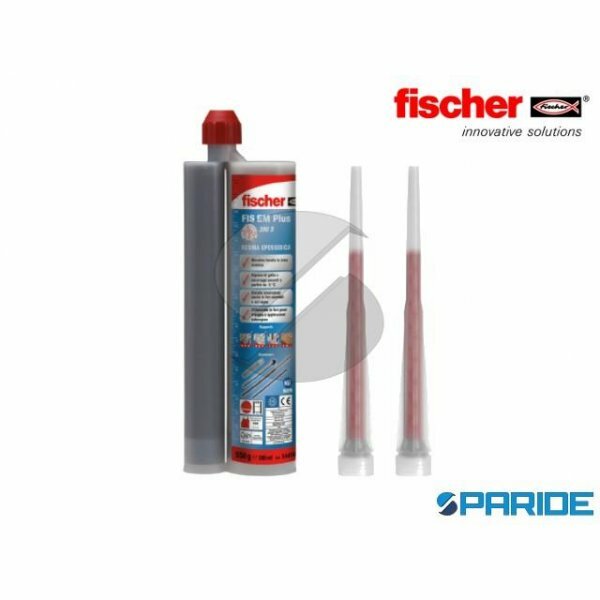 TASSELLO A RETE FIS H 12X50 K FISCHER 41900 PER BARRE DEL 6 E 8 MMAPPLICAZIONI: SERRAMENTISTICA; FALEGNAMERIA; IMPIANTISTICA LEGGERASUP..
TASSELLO A RETE FIS H 20X130 K 46703 FISCHER. 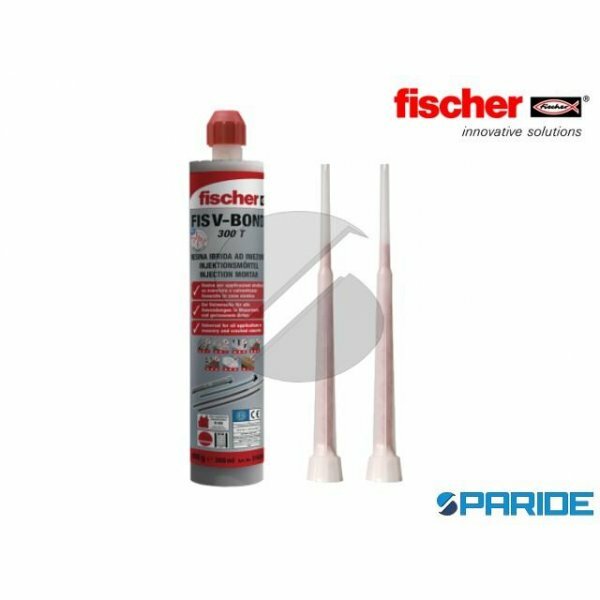 APPLICAZIONI: SERRAMENTISTICA; FALEGNAMERIA; IMPIANTISTICA LEGGERASUPPORTI; MATTONE FORATO, DOPPIO UNI,BLOCCO CAVO GENERALITA; TASSELL..
TASSELLO A RETE FIS H 20X200 K 46704 FISCHER. APPLICAZIONI: SERRAMENTISTICA; FALEGNAMERIA; IMPIANTISTICA LEGGERASUPPORTI; MATTONE FORATO, DOPPIO UNI,BLOCCO CAVO GENERALITA; TASSELL..
TASSELLO A RETE FIS H 22X130\200 K 45708 FISCHER. APPLICAZIONI: SERRAMENTISTICA; FALEGNAMERIA; IMPIANTISTICA LEGGERASUPPORTI; MATTONE FORATO, DOPPIO UNI,BLOCCO CAVO GENERALITA; TAS..